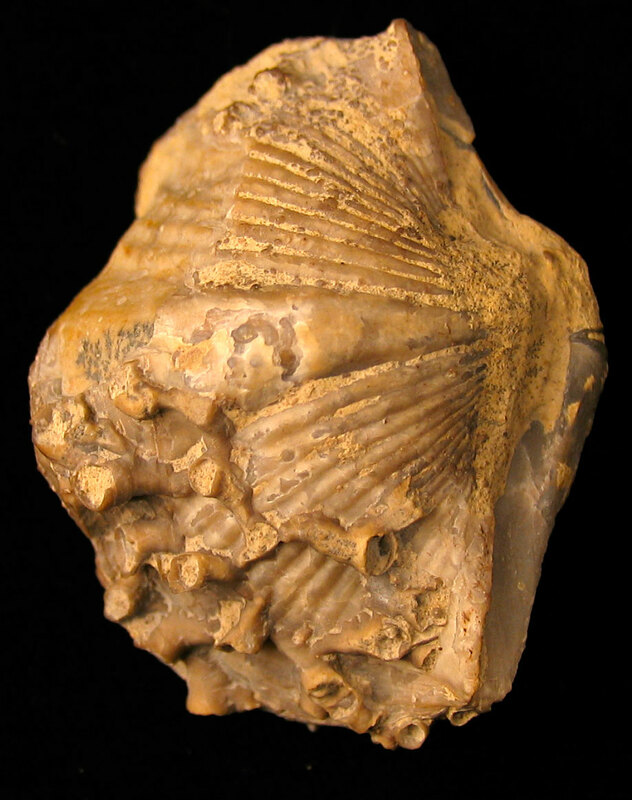 One of the easier fossils to prep with sand abrasion cleaning are specimens from the Silver Creek Limestone of Clark County, Indiana. I believe it is this layer of limestone that the county's large concrete plant uses to manufacture product. This fossil is the Orthospirifer brachiopod and it has a nice colony of Aulopora coral growing on it. 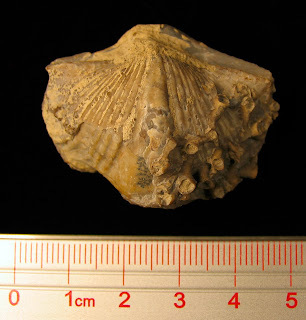 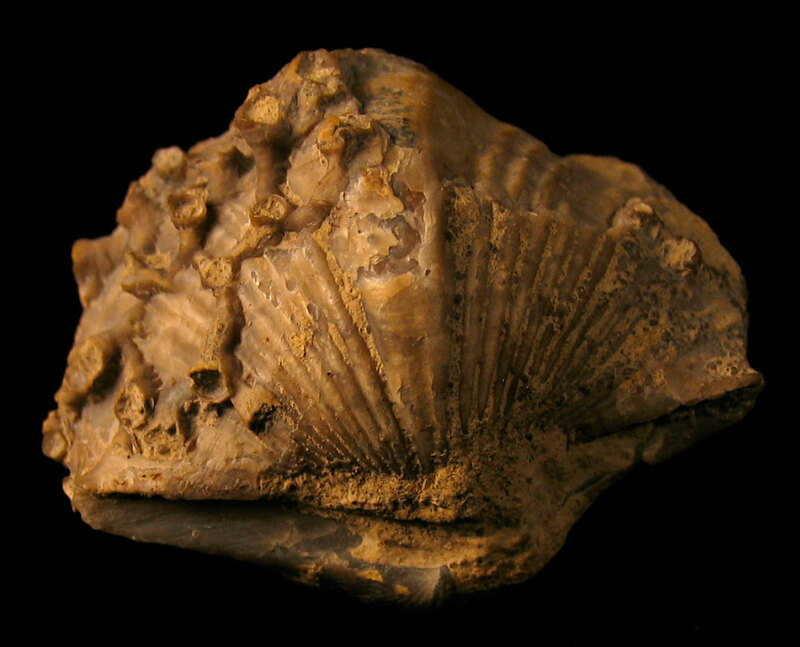 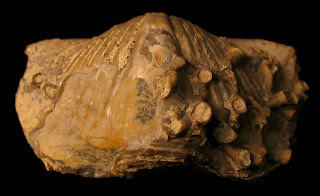 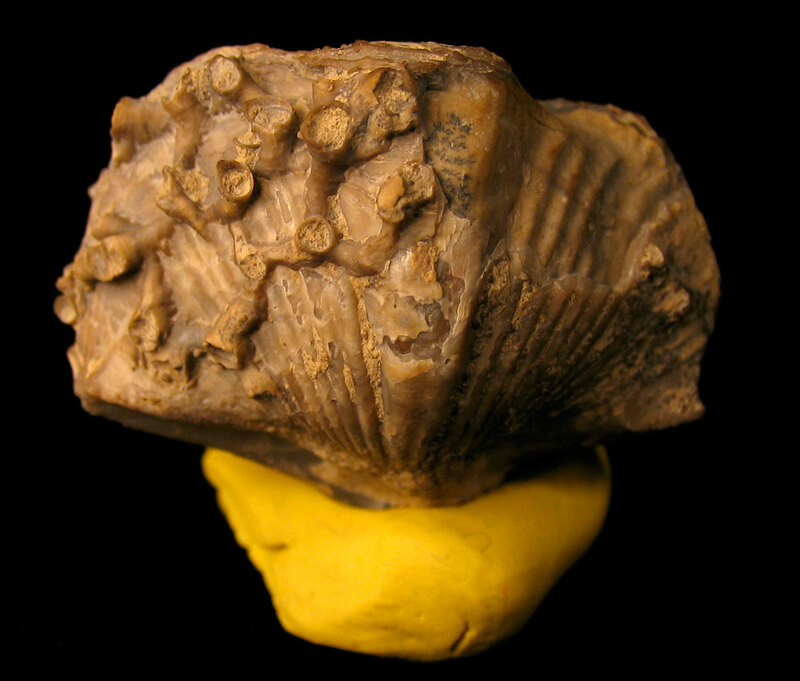 The brachiopod and coral lived in the Middle Devonian Period. 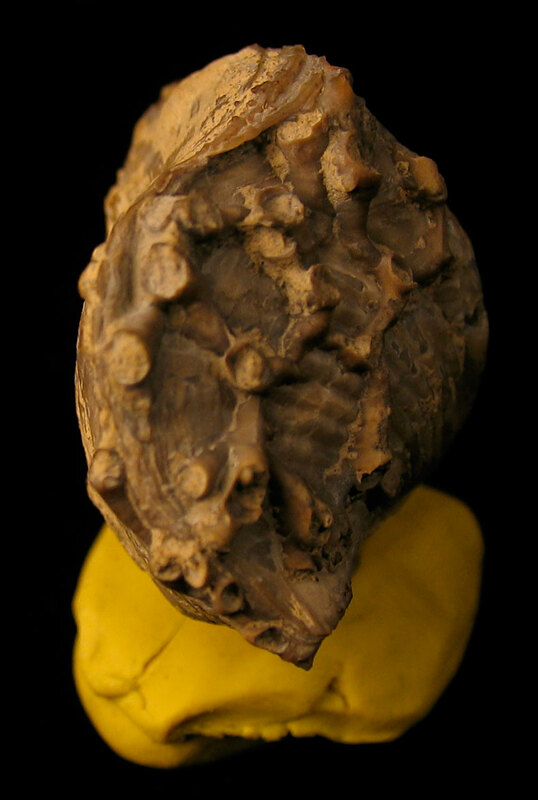 Thanks to Kenny for cleaning this one up for me!